Today, few people dispute that online video is the most powerful marketing tool available to business, and one that can be repurposed throughout marketing campaigns. Included on your landing page, it can increase conversion rates by 80%, and if you put a good promotional video on a site like YouTube you’ll find that users share it, doing your work for you. All kinds of different events make great promotional material to help you win custom, so why not kill two birds with one stone and turn your event promotion into marketing gold? Many different types of event can be turned into good promotional material in the form of video content. 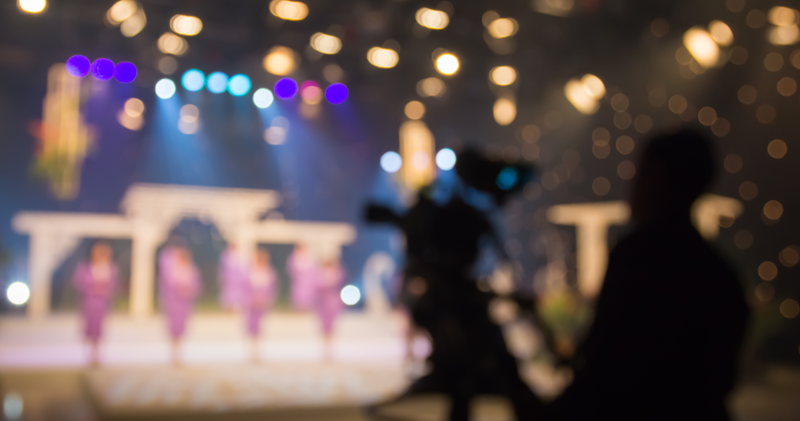 From product launch events to conference appearances, awards ceremonies and training sessions, there’s always something that a professional video team can use to show you at your most dynamic. Make your business seminar available as an educational resource for clients and customers. If you’re taking your business to festivals or even local fetes, relaying the natural energy of these events through video content can give your brand image an additional boost and entice people to your next event. Reuse live product launches as either a product demo video for converting interest into sales, or as a promotional video in its own right. What is promotional video all about? Promotional videos are a great way to grab the attention of your audience and give them a lot of information in a short amount of time, in a form they’ll really enjoy. It’s not all about the hard sell but about building up your brand and making you visible to new customers. With images much more powerful that words, your video can illustrate what makes your business different and show viewers what you’re really good at. 64% of people are more likely to buy a product online after they’ve seen it promoted in a video. The key to making great event promo videos with conversion potential is to get creative. A static camera observing from a distance is never going to capture the energy of your event. If you have more than one camera, you can have a master shot – when somebody is speaking – but intercut what it records with footage from a camera that is moving around, filming the speaker from the side or capturing audience reactions. You can also use vox pops to capture people’s testimonials, interview event organisers, film product demonstrations or promotional segments about your products or services. Promotional material like this is versatile and can be reused in lots of ways. It’s much more exciting to watch than more traditional promo videos and it gets across the message that your business is active and engaged with its audience. We’ve produced all of Roehampton University’s promo event videos since 2011, capturing the fun and excitement of their annual Summer Ball with hours of footage edited down into a vibrant and captivating promotional video. Here’s 2014’s promo video, read the case study here. View 2011’s promo video below, or read the case study right here. Silent Social is another example of how filming a live event can make great promotional videos. We filmed their event for three nights at V Festival, with extensive use of VFX to give it lots of attitude; with edgy, energetic music to reflect the awesome atmosphere of the event. Watch the resulting promo video for yourself below, or read that case study, here. Our London-based team is always ready to take on new event filming challenges and give you great promotional material for your marketing campaigns. You can read more about our approach to live event filming here, or alternatively, you can get in touch today to find out how our event filming packages will help you. Glad you found the post useful and thank you for linking to it! Spread the knowledge!